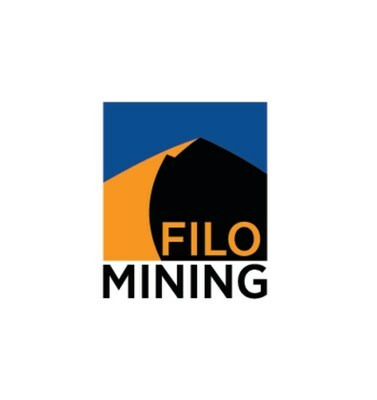 VANCOUVER, Aug. 9, 2018 /CNW/ - Filo Mining Corp. (TSX-V:FIL)(Nasdaq First North:FIL) ("Filo Mining" or the "Company") is pleased to announce its results for three and six months ended June 30, 2018. The total Indicated contained silver in all zones by 34% to 147 million ounces. This resource update is comprised of four distinct mineral zones: an uppermost gold oxide ("AuOx") zone, a copper-god oxide ("CuAuOx") zone, and a silver zone, all of which is underlain by a copper-gold sulphide ("Sulphide") zone. The updated Mineral Resource estimate, segregated by zone, is summarized in the following table. 6 – The resource was constrained by a Whittle® pit shell using the following parameters: Cu $3/lb, Ag $20/oz, Au $1300/oz, slope of 45°, a mining cost of $2.50/t and an average process cost of $13.26/t. The updated Mineral Resource estimate will be incorporated into the PFS currently underway, which is being led by Ausenco Engineering Canada Inc. and targeted for completion by the first quarter of 2019. Metallurgical testwork results will be the next integral input to the PFS. This next phase of metallurgical testwork, which commenced in early April 2018 and is based on samples collected during 2017/2018 diamond drilling and surface trenching, is expected to be completed in the third quarter of 2018. Reflecting on the Company's second quarter progress, Adam Lundin, President and CEO, commented, "Filo Mining has pushed forward as planned with the recent update to the Mineral Resource estimate for the Filo del Sol Project and kicking off the next phase of metallurgical testwork, all of which will support the PFS that is currently underway and planned for completion by Q1 2019. The update to the Mineral Resource not only demonstrates that our team was successful in obtaining another key PFS input, but also demonstrates the strength of the deposit at the Filo del Sol Project. The update to the Mineral Resource estimate resulted in a notable increase in both Indicated tonnage and contained metal, while the Project has maintained its considerable exploration potential with less than 20% of the project area explored to date and the resource remaining open for expansion in several directions and at depth. The Company is looking forward to the completion of the metallurgical testwork program, which the November 2017 preliminary economic assessment had identified as having potential to create value at the Filo del Sol Project." Increasing metallurgical recoveries with further test work and optimization. The analysis of alternative processing options and refinement of metallurgical recoveries began in April 2018 and is ongoing, using material collected during the 2017/2018 field program from diamond drill holes and surface trenches. The results of this current phase of metallurgical testwork are expected to be available in the third quarter of 2018. With the recently updated Mineral Resource estimate and a PFS currently underway on the Filo del Sol Project, together with a treasury of $8.1 million at June 30, 2018, the Company is well positioned to make strides towards advancing the Filo del Sol Project. The results of the PFS will guide the direction taken by the Company with respect to the Filo del Sol Project and may lead to further advanced studies of the Project. The financial information in this table were selected from the Company's condensed interim consolidated financial statements for the three and six months ended June 30 2018 (the "Financial Statements"), which are available on SEDAR at www.sedar.com and the Company's website www.filo-mining.com. The financial information in this table were selected from the Financial Statements, which are available on SEDAR at www.sedar.com and the Company's website www.filo-mining.com. The Company incurred a net loss of $4.4 million during the current quarter, comprised of $3.6 million and $0.8 million in exploration and project investigation costs and G&A costs, respectively, compared to a net loss of $2.1 million for the three months ended June 30, 2017. The variance is primarily due to relative levels of exploration activity undertaken during the respective periods. Specifically, the larger net loss incurred during the three months ended June 30, 2018 is due to the execution of a larger exploration program during the 2017/2018 exploration season to generate and collect data in support of the PFS currently underway on the Filo del Sol Project. As at June 30, 2018, the Company had cash of $8.1 million and net working capital of $7.5 million, compared to cash of $2.4 million and net working capital of $1.5 million, as at December 31, 2017. The increase in the Company's cash and net working capital is due primarily to aggregate net proceeds totaling $24.4 million received from the tandem equity offerings, which closed in February 28, 2018 (the "Financings"). This cash inflow has been partially offset by funds directed towards advancing the Filo del Sol Project, and to a lesser extent, $0.5 million in relation to the annual option payment made for the Tamberias property in June 2018, funds spent for general corporate purposes and repayment of a short-term credit facility used by the Company prior to closing of the Financings, as announced by the Company on January 12, 2018..
Moving forward, the Company expects that the majority of its treasury will be used to fund ongoing work programs to advance the Filo del Sol Project. Filo Mining is a Canadian mineral exploration company which holds a 100% interest in the Filo del Sol Project on the border of Argentina's San Juan Province and Chile's adjacent Region III. Filo del Sol is located between the prolific Maricunga and El Indio Gold Belts, two major mineralized trends that contain such deposits as Caspiche, La Coipa, Veladero, and El Indio. The region is mining-friendly and hosts a number of large-scale mining operations. The project area is covered under the Mining Integration and Complementation Treaty between Chile and Argentina, which provides the framework for the development of cross border mining projects. Built on a foundation of experienced management and focused on advancing exploration projects in Chile and Argentina, Filo Mining is well positioned to build shareholder value through discovery and resource development. The technical information relating to the PEA is based on a Technical Report for a Preliminary Economic Assessment on the Filo del Sol Project, Region III, Chile and San Juan Province, Argentina" dated December 18, 2017, with an effective date of November 6, 2017 (the "Technical Report"), which was prepared for Filo Mining by SRK Consulting (Canada) Inc ("SRK"). The Qualified Persons, as defined under NI 43-101, responsible for the Technical Report are Fionnuala Devine, P. Geo., Merlin Geosciences Inc., Carl E. Defilippi, RM SME, Kappes, Cassiday & Associates, Giovanni Di Prisco, PhD., P.Geo., Terra Mineralogical Services Inc., James N. Gray, P. Geo., Advantage Geoservices Limited, Robert McCarthy, P. Eng., SRK, Cameron Scott, P. Eng., SRK, and Neil Winkelmann, FAusIMM, SRK, all of whom are independent of Filo Mining. The Technical Report is available for review under the Company's profile on SEDAR at www.sedar.com and on the Company's website at www.filo-mining.com. The Company's condensed interim consolidated financial statements for the three and six months ended June 30, 2018 and related management's discussion and analysis are available on the Company's website at www.filo-mining.com or under its profile on SEDAR at www.sedar.com. Filo Mining is listed on the TSX-V and Nasdaq First North Exchange under the trading symbol "FIL". Pareto Securities AB is the Company's Certified Adviser on Nasdaq First North. This information was submitted by Filo Mining Corp. for publication, through the agency of the contact person set out below, on August 9, 2018 at 4:00 pm Pacific time. Certain statements made and information contained herein in this press release constitutes "forward-looking information" and forward-looking statements" within the meaning of applicable securities legislation (collectively, "forward-looking information") concerning the business, operations, financial performance and condition of Filo Mining. The forward-looking information contained in this press release is based on information available to the Company as of the date of this press release. Except as required under applicable securities legislation, the Company does not intend, and does not assume any obligation, to update this forward-looking information. Generally, any statements that express or involve discussions with respect to predictions, expectations, beliefs, plans, projections, objectives, assumptions or future events or performance, (often, but not always, identified by words or phrases such as "plans", "expects" or "does not expect", "is expected", "budget", "scheduled", "estimates", "forecasts", "intends", "projects" , "estimates", "budgets", "scheduled", "forecasts", "assumes", "intends", "strategy", "goals", "objectives", "potential", "possible", "anticipates" or "does not anticipate", or "believes", or variations of such words and phrases or statements that certain actions, events, conditions or results "will", "may", "could", "would", "should", "might" or "will be taken", "will occur" or "will be achieved" or the negative connotations thereof and similar expressions) are not statements of historical fact and may be forward-looking statements. All statements other than statements of historical fact may be forward-looking statements. Forward-looking information is necessarily based on estimates and assumptions that are inherently subject to known and unknown risks, uncertainties and other factors that may cause the actual results, level of activity, performance or achievements of the Company to be materially different from those expressed or implied by such forward-looking information, including but not limited to: risks and uncertainties relating to, among other things, the inherent uncertainties regarding mineral resource estimates, cost estimates, changes in commodity prices, currency fluctuation, financings, unanticipated resource grades, infrastructure, results of exploration activities, cost overruns, availability of materials and equipment, timeliness of government approvals, taxation, political risk and related economic risk and unanticipated environmental impact on operations as well as other risks, and uncertainties and other factors, including, without limitation, those referred to in the "Risks and Uncertainties" section of the Company's most recent MD&A and/or Annual Information Form, under the heading "Risks Factors", and elsewhere, which may cause the actual results, level of activity, performance or achievements of the Company to be materially different from those expressed or implied by such forward-looking information. The Company believes that the expectations reflected in the forward-looking information included in this press release are reasonable but no assurance can be given that these expectations will prove to be correct and such forward-looking information should not be unduly relied upon. Information contained in this press release is as of the date of this press release. In particular, this press release contains forward-looking information pertaining to the assumptions used in the PEA for the Filo del Sol project, the assumptions used in the mineral resources estimates for the Filo del Sol project, including, but not limited to, geological interpretation, grades, metal price assumptions, metallurgical and mining recovery rates, geotechnical and hydrogeological conditions, as applicable; ability to develop infrastructure; assumptions made in the interpretation of drill results, geology, grade and continuity of mineral deposits; expectations regarding access and demand for equipment, skilled labour and services needed for exploration and development of mineral properties; and that activities will not be adversely disrupted or impeded by exploration, development, operating, regulatory, political, community, economic and/or environmental risks. In addition, this press release contains forward-looking information pertaining to the undertaking of and timing for the completion of a Pre-Feasibility Study; expected timing for the filing of a technical report concerning the updated mineral resource estimate expected timing for the results of metallurgical testwork; use of proceeds from the Financings; expected timing or ability to secure additional financing and/or the quantum and terms thereof; exploration and development plans and expenditures; the timing and nature of studies and any potential development scenarios; opportunities to improve project economics; the success of future exploration activities; potential for resource expansion; potential for the discovery of new mineral deposits; ability to build shareholder value; expectations with regard to adding to mineral resources through exploration; expectations with respect to the conversion of inferred resources to an indicated resources classification; ability to execute the Planned Work programs; estimation of commodity prices, mineral resources, costs, and permitting time lines; ability to obtain surface rights and property interests; currency exchange rate fluctuations; requirements for additional capital; government regulation of mining activities; environmental risks; unanticipated reclamation expenses; title disputes or claims; limitations on insurance coverage; and other risks and uncertainties. Forward-looking information is based on certain assumptions that the Company believes are reasonable, including that the current price of and demand for commodities will be sustained or will improve, the supply of commodities will remain stable, that the general business and economic conditions will not change in a material adverse manner, that financing will be available if and when needed on reasonable terms and that the Company will not experience any material labour dispute, accident, or failure of plant or equipment. These factors are not, and should not be construed as being, exhaustive. Although the Company has attempted to identify important factors that would cause actual results to differ materially from those contained in forward-looking information, there may be other factors that cause results not to be as anticipated, estimated, or intended. There can be no assurance that such statements will prove to be accurate, as the Company's actual results and future events could differ materially from those anticipated in such statements, as a result of the factors discussed in the "Risk and Uncertainties" section of the Company's most recent management's discussion and analysis and elsewhere and in the "Risk Factors" section in the Company's most recent Annual Information Form, which are available under the Company's profile on SEDAR at www.sedar.com. All of the forward-looking information contained in this document is qualified by these cautionary statements. Readers are cautioned not to place undue reliance on forward-looking information due to the inherent uncertainty thereof. Statements relating to "mineral resources" are deemed to be forward looking information, as they involve the implied assessment, based on certain estimates and assumptions, that the mineral resources described can be profitably produced in the future.